Over the past 50+ years, the sugar industry has brainwashed scientists, doctors, and the public into thinking fat is unhealthy. But the truth is, fat isn’t unhealthy. Sugar is. The truth is, #fat isn’t unhealthy. Sugar is. This misconception has destroyed public health, caused countless deaths, deceived doctors into believing a big fat lie. Unfortunately, it took us more than 60 years of disease and unhealthy eating to realize the truth. And this truth has revealed something much deeper than the reality of sugar and fat. It has uncovered a dark secret deeply rooted in the scientific community. Back in the 1950s, scientists were beginning to realize sugar was a health hazard. Specifically, they noticed a link between sugar intake and heart disease. These new findings were a huge threat to the sugar industry (now known as the Sugar Association). And they were determined to eliminate this threat to keep their pockets full. In other words, the sugar industry needed to create a distraction, or smoking gun, to divert the attention away from their precious sugar. The Sugar Association created a distraction by making saturated fat the bad guy. Fat was their smoking gun. 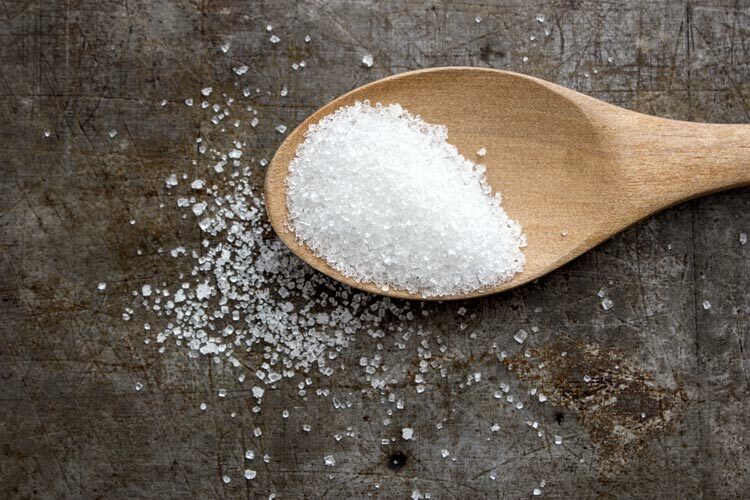 According to the New York Times, the sugar industry paid scientists in the 1960s to hide the connection between sugar and heart disease. But we didn’t know about this meddling until now—50 years later. It was all revealed by a researcher in JAMA Internal Medicine who discovered documents which exposed the Sugar Association’s shady activities. The discovered documents reveal the Sugar Research Foundation (which is now the Sugar Association) paid three Harvard scientists the equivalent of $50,000 in today’s money to publish a study. This study was designed to blame cardiovascular disease on saturated fat rather than sugar. At the same time, they were paid to downplay the health impact of sugar. The documents prove today’s dietary recommendations have been completely shaped by the Sugar Association. Want More Content Like This? Click here to get the latest updates, natural health tips, and a free 5-week meal plan delivered right to your inbox. The Sugar Association continued to influence scientific studies, being sure each and every one of them contributed to their agenda. Some of these studies were even published in the prestigious New England Journal of Medicine. This explains how even doctors were convinced that fat is unhealthy. They successfully led everyone to believe that fat is the bad guy, while sugar just flew under the radar. The Sugar Association was just where they wanted to be. It’s really horrible to think about it. The whole world has been led to believe a lie that has devastated our health for the past 60 years. A lie that was conceived out of pure greed and no regard for the health of countless people. This kind of global deception is more common than you may realize. For example, just last year an article in the New York Times revealed Coca-Cola, the world’s largest producer of sugary beverages, had also got its grimy hands into research. Coca-Cola spent millions of dollars funding research which sought to discredit the link between sugary drinks and obesity. They simply don’t care about people’s health. What they do care about is money. This kind of manipulation goes well beyond just the sugar industry too. The Scientific American, a reputable magazine, recognized the issue of data manipulation back in 2011. In other words, a concerning amount of studies out there have been exaggerated, falsified, or published with results that favor the agenda of the institutions which funded them. Researchers look for positive results instead of looking for the truth. This should be a serious call to action for honest scientists who want to truly better society. There needs to be increased regulation on study bias and investigations into where researchers get their funding. How can we confidently make evidence-based decisions with knowing the information out there is often manipulated with the greedy intentions? It’s plain and simple. Industry-funded research is utterly destroying our progress in health care since medical professionals are taught to solely rely on scientific evidence. In fact, it’s making us unhealthier than ever. And when you see industry-funded research, the data is likely biased. It honestly saddens my heart to see all the deception for the sake of greed. The truth is covered in a trail of money, and we have no idea how deeply rooted this issue has become. Who knows how far the rabbit hole goes. So how can we trust anything that we read anymore? How can we trust scientific literature that unknowingly worships misleading evidence? There’s no cut and dry answer I’m afraid. The only suggestion I can make is to always question the truth. I assure you that I will be doing a lot of that. Only read from sources who recognize this problem (such as this site). These sites will be the ones who try to break free from the influence of industry-influenced studies. Your source to the truth. That being said, it’s my mission to guide you on a true path to wellness. Even if it means an empty wallet. Because this madness and deception needs to stop. With your support, we can put an end to greed. We can uncover the truth that’s so deeply entrenched in our common beliefs and scientific literature.